Rhubarb sorbet is one of the most refreshing sorbet options there is. Seasonally it is ready now (March -April) and if you are craving something fresh and sweet after the long winter months this is great place to start. We grow lots of rhubarb over the winter and then as the spring flowers start to bloom and the air warms up you can harvest it and create some great recipes with the luscious pink stalks. 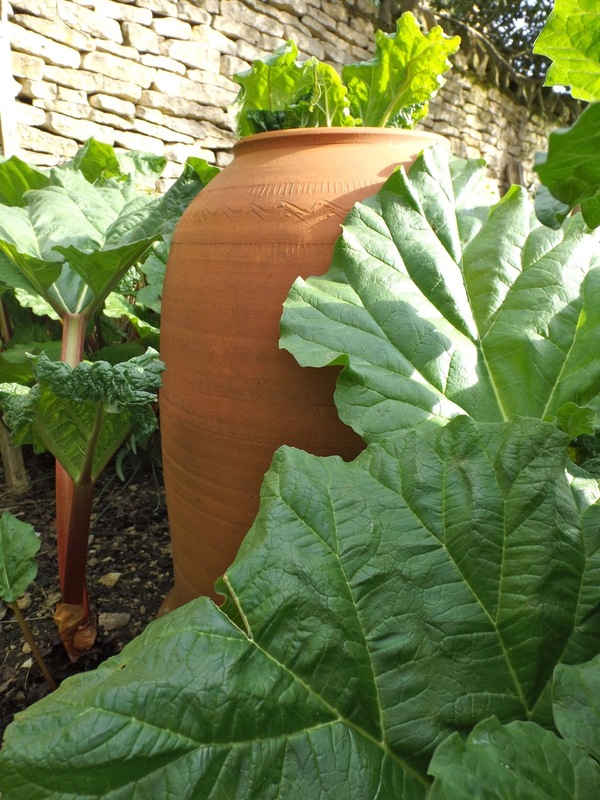 Rhubarb, at this time of year, when there is risk of frost, is grown in forcers, although as you can see this one isn't exactly doing its job properly and rhubarb is sprouting up all over the place! First harvest (or pop down to your local supermarket!) for 500g of rhubarb, wash thoroughly and chop into smallish chunks. 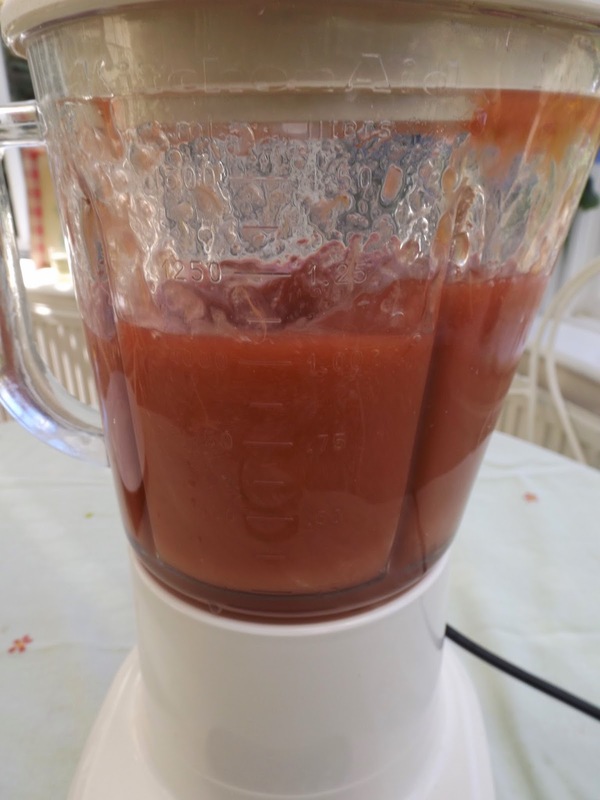 Then add your sugar, water, lemon juice and rhubarb to your pan and cook gently for about 15 minutes until your rhubarb is soft, transfer your velvety looking mixture to a food processor and blend until smooth. Pour you mix either into a container or into an ice cream maker. If just leaving it to set in the freezer stir your mixture every hour to prevent ice crystals forming. Then once you ice cream maker has stopped or your 4 hours are up then leave your mixture to completely set for around 4 hours. Once frozen, pile onto a plate and top with sticky rhubarb and something crunchy, I went for some raspberry biscuits. A great spring time treat! Herring Roe, Lemon & Toast.